Home World news D1NZ championship fight heats up. 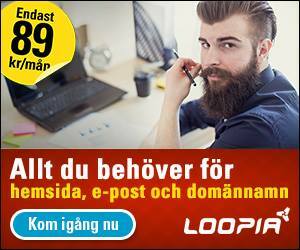 Get ready for round 3! 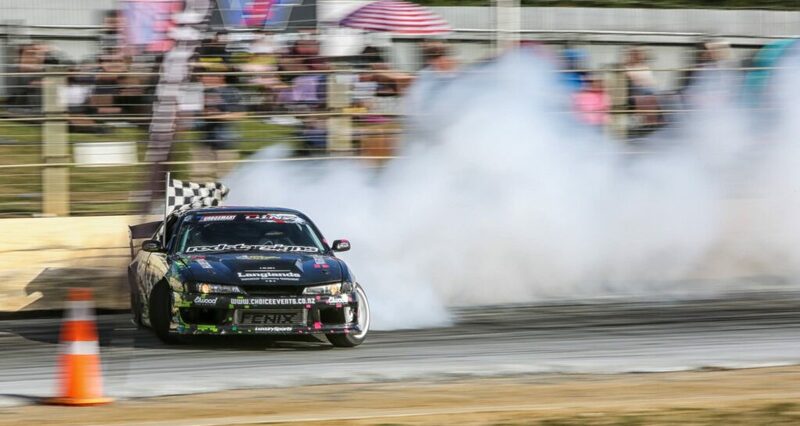 D1NZ championship fight heats up. Get ready for round 3! 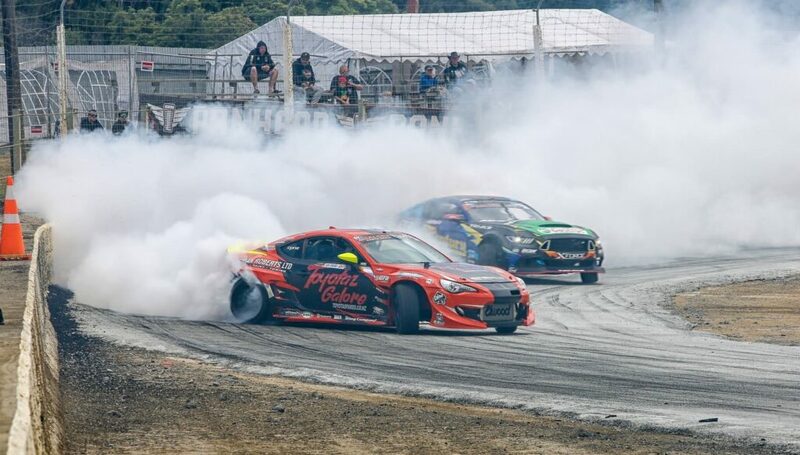 Round 3 of the D1NZ Drifting Championship is coming up this weekend. Darren Kelly is the current leader, but there is only a small margin. 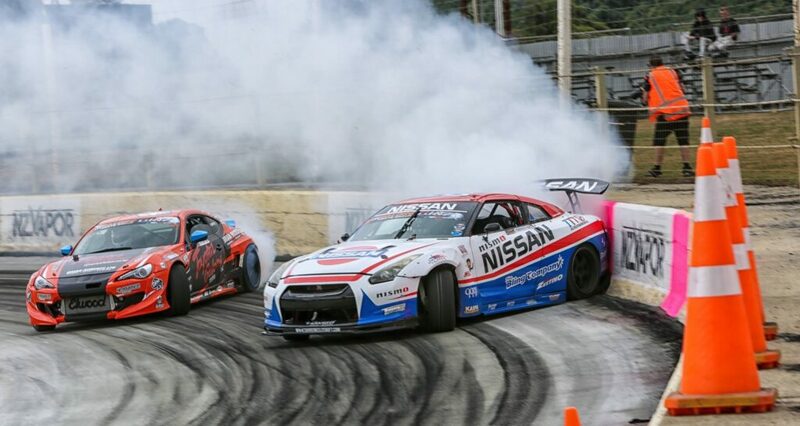 As you may remember Darren Kelly won the first round in Tauranga in his Nissan R35 GTR. In the second round gearbox problems led to a disappointing result. “Round 2 wasn’t exactly what we wanted, we wanted to back up our round win and try bank some of those crucial points” said Kelly to D1NZ.com. 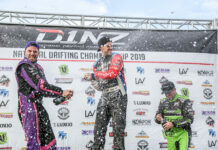 Only 30 points separate the top five drivers heading into round 3, with Team DSR’s Adam Davies in second, TJ Motorsport’s Ben Jenkins in third, Andrew Redward in fourth and Daniel ‘Fanga Dan’ Woolhouse in fifth. Last rounds winner, rising star Ben Jenkins, scored a spectacular maiden round victory with his new Toyota GT86, says “I’m ahead of a lot of the guys I looked up to, it’s sort of a dream really”. 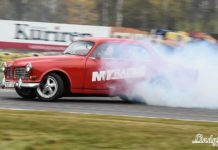 Jenkins, who is only in his second year of pro drifting, is becoming a contender for the championship. 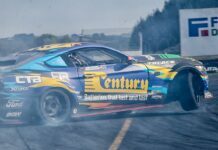 In the Turbosmart Pro-Sport restricted class Michael Thorley in his ENZED C33 Laurel is leading the series standings ahead of Kurt Blackie in his Cooper Tyres R32 Skyline and Shaun Potroz, who scored a debut victory in Wellington behind the wheel of his Choice Events Nissan S14. 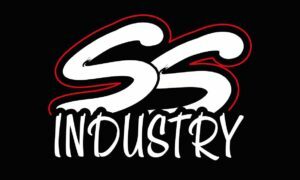 Round 3 is held on the 15th and 16th of March at Hampton Downs. 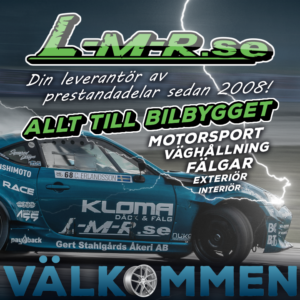 Next articleDrift Kings International Series: A big player in European drifting.